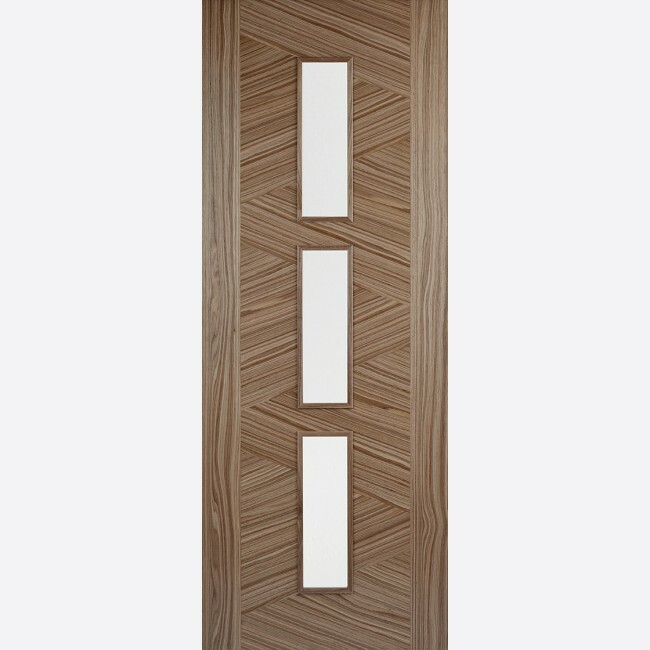 A distinctive pre-finished Walnut wood grain, three clear glazed panels and raised moulding on both sides make up the modern Zeus door. Walnut Zeus Glazed Doors are manufactured from engineered door components which can include MDF, particle-board and laminated timber. LPD Glazed Walnut Zeus Door Codes - WZEUS3L27 - WZEUS3L30 - WZEUS3L33 - must be treated to manufacturer's instructions. - We cannot exchange Glazed Walnut Zeus Doors after order - LPD Zeus Glazed Pre-Finished Walnut Doors are supplied as a Special Order. E. & O.E. see T&C - We do try to keep prices and specifi­­­cati­­­ons of LPD Zeus Glazed Walnut Doors correct, but mistakes can made!